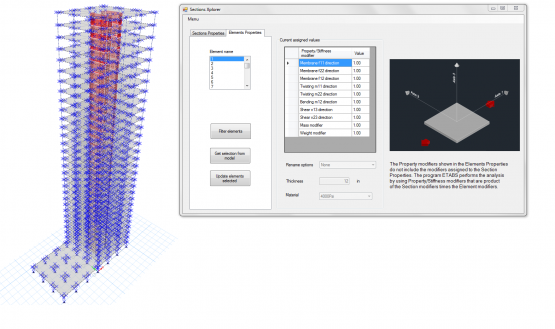 Automatically add the shell thickness and material to the section name. 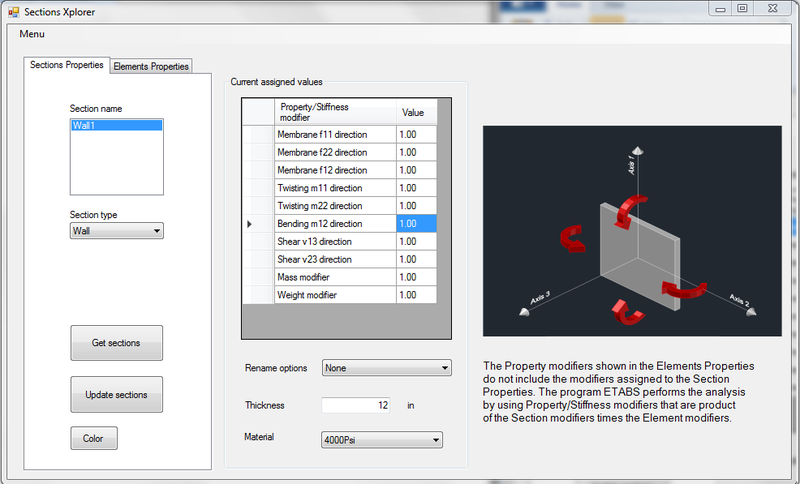 If these properties are modified, the user can automatically update the section names to match the new values. 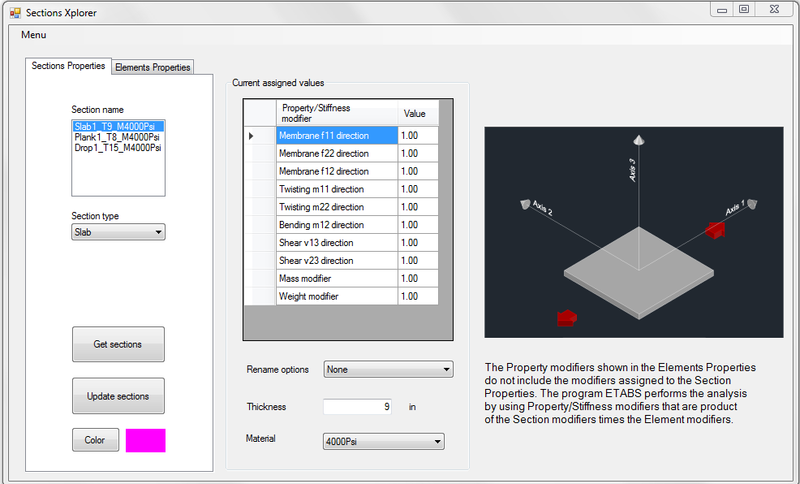 A single interface to edit section properties such as thickness, color, stiffness modifiers, mass, weight and material. 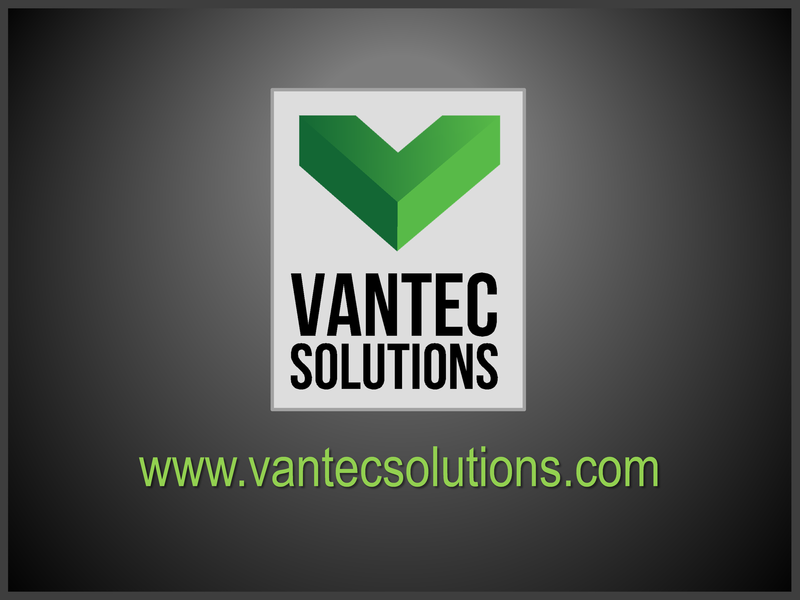 Quickly edit the properties for multiple area sections at once. Browse through the section properties of multiple sections with a single click. Review, compare and edit the property overwrites for all the selected area elements. Axonometric views that display the orientation of each one of the stiffness modifiers for slab and wall sections.